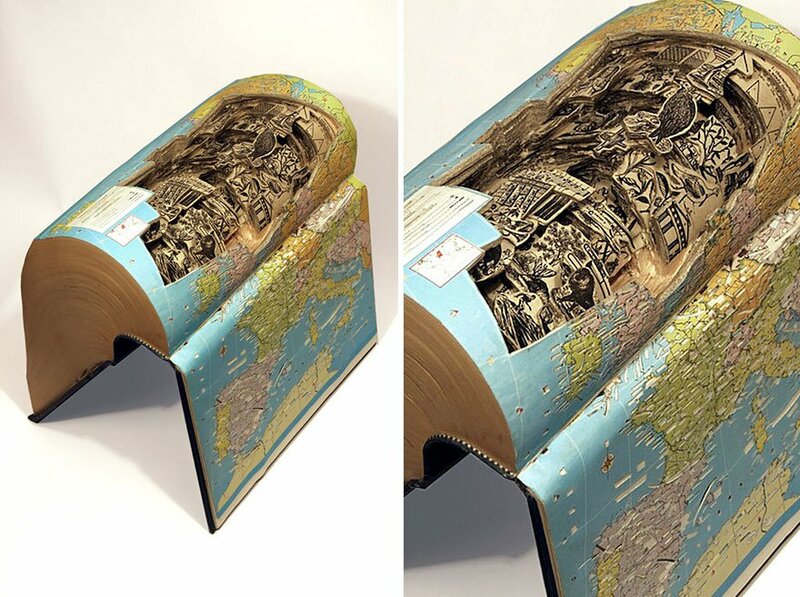 It is often said that books make you travel to places where you have never been. 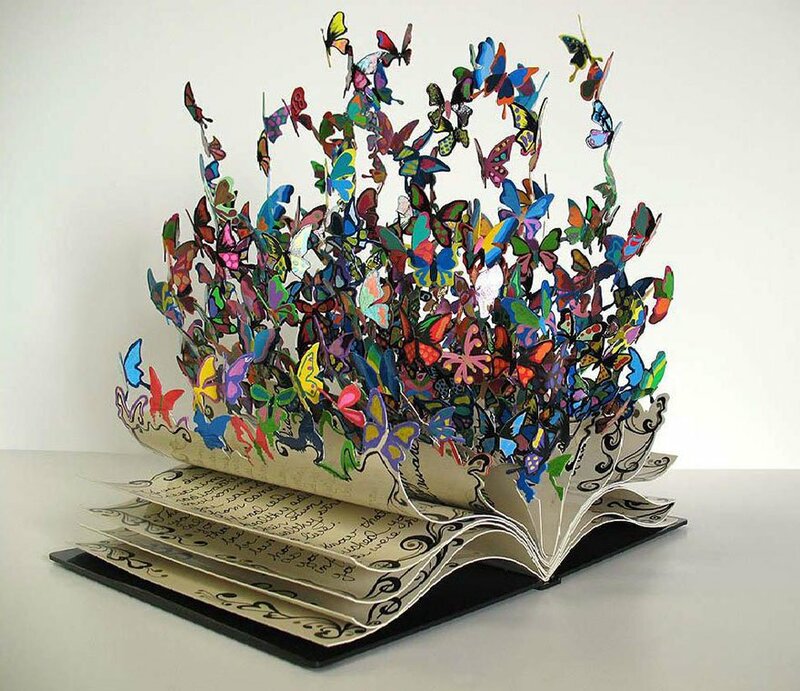 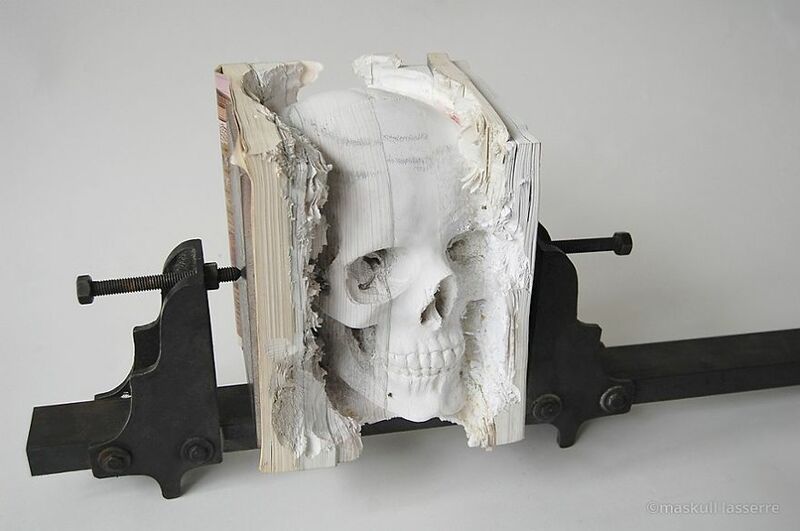 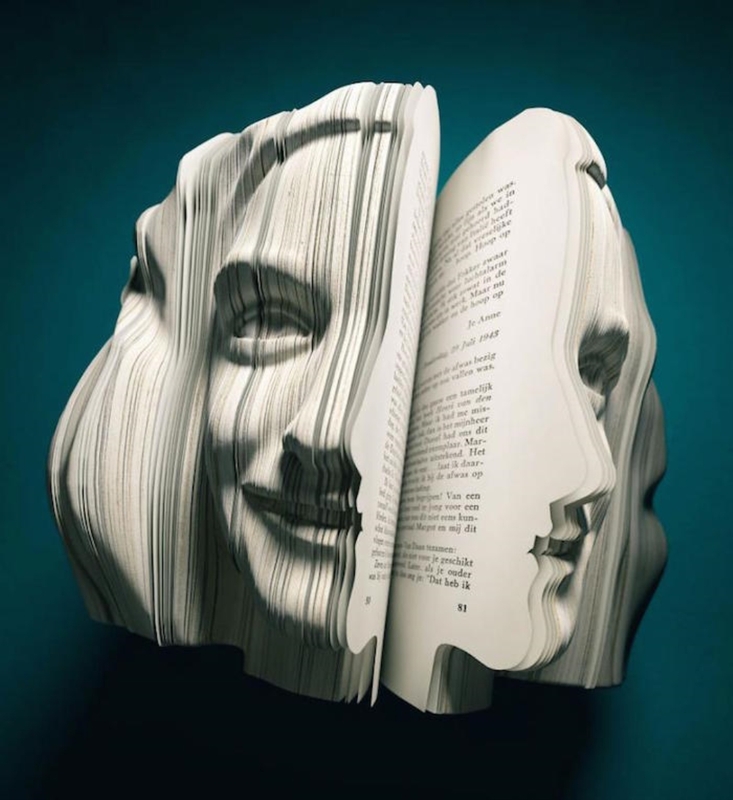 Not only reading but creating stunning book sculptures also justifies the statement. 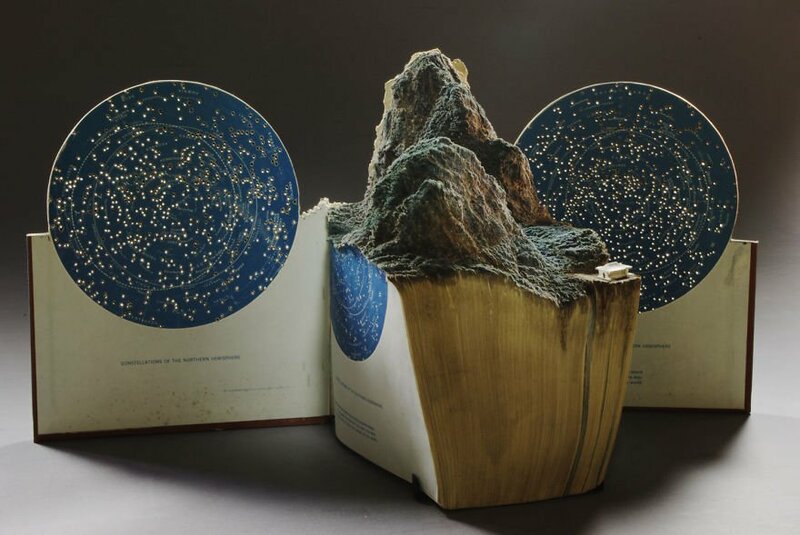 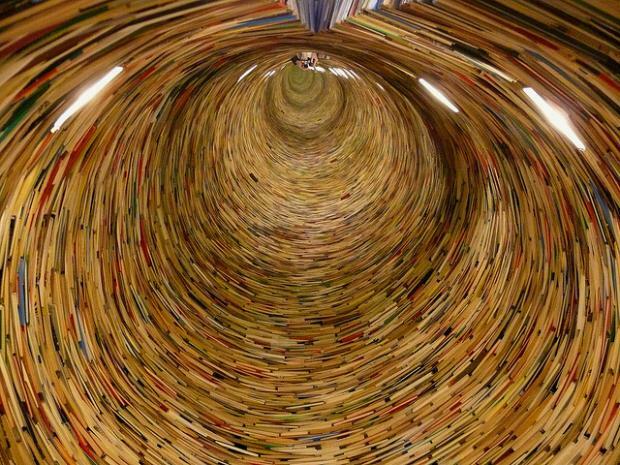 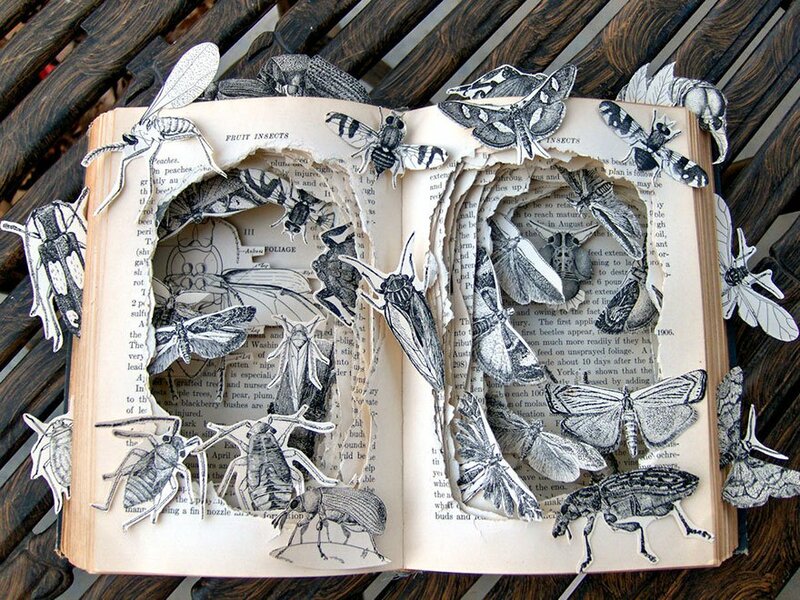 Some artists have gone beyond reading and used their creative wits to transform old huge books into finest pieces of art. 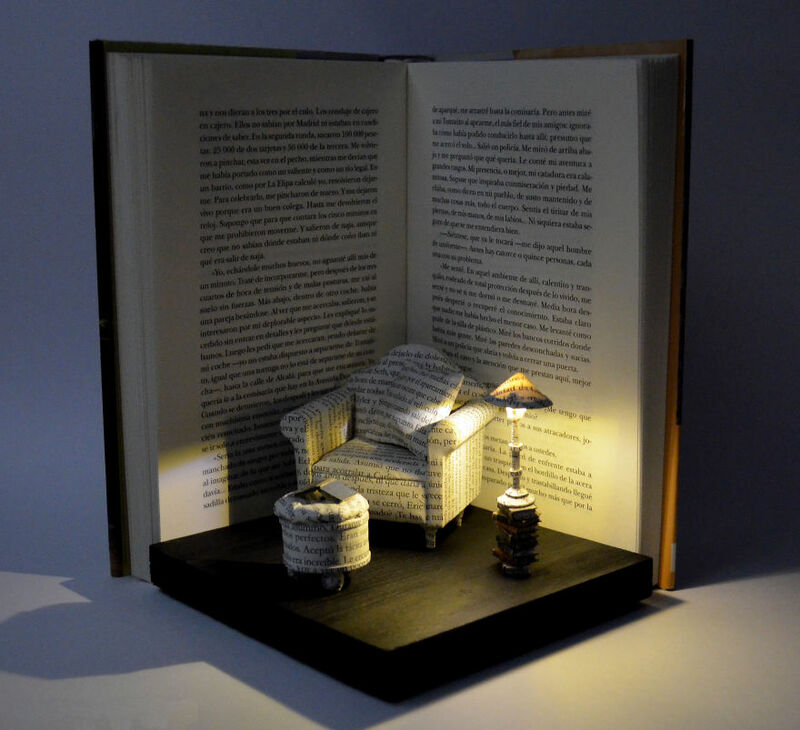 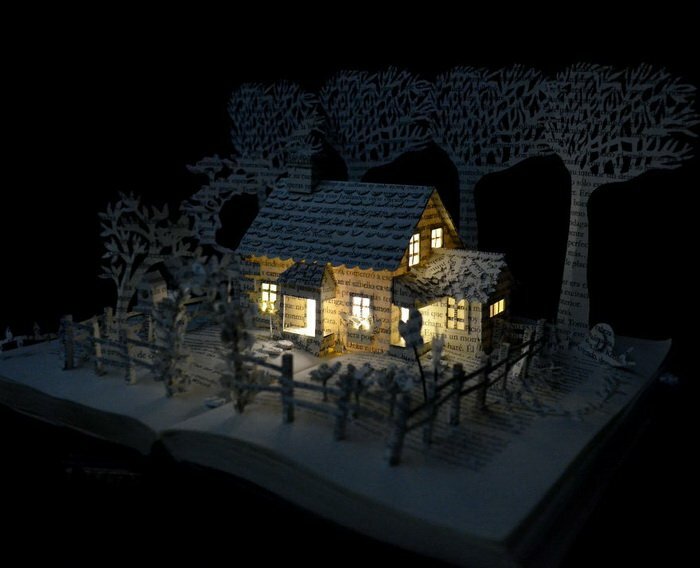 These are book sculptures which can be used to decorate any corner of your house. 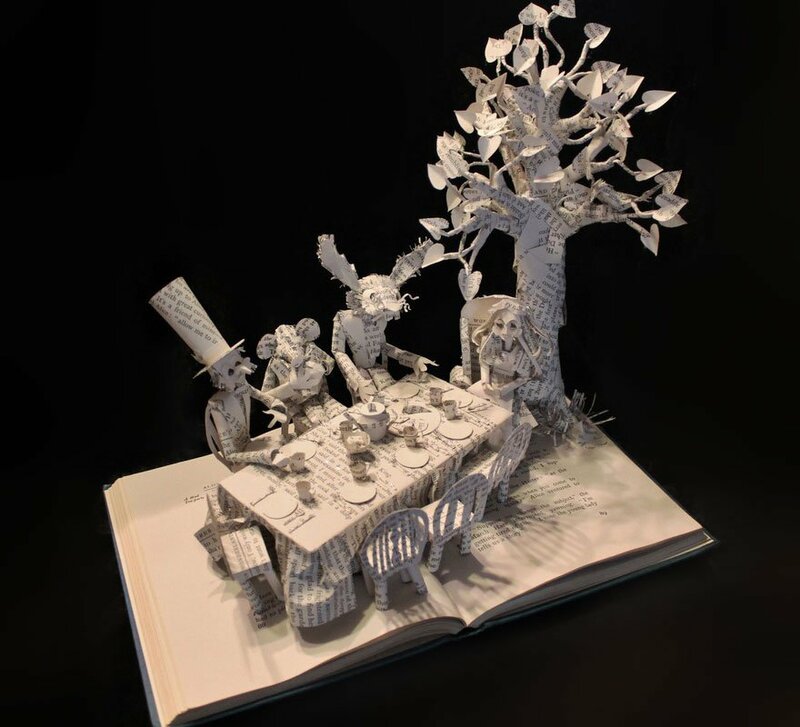 Nicholas Jones from Melbourne is one of the most famous book sculptors in the world. 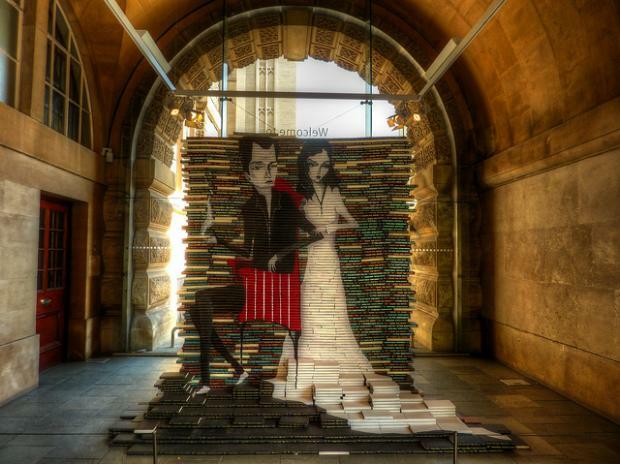 He studied Master of Fine Arts from Royal Melbourne Institute of Technology. 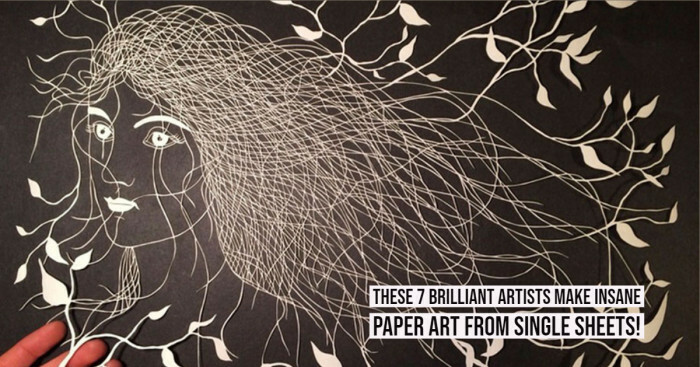 His works have been displayed in various international art exhibitions. 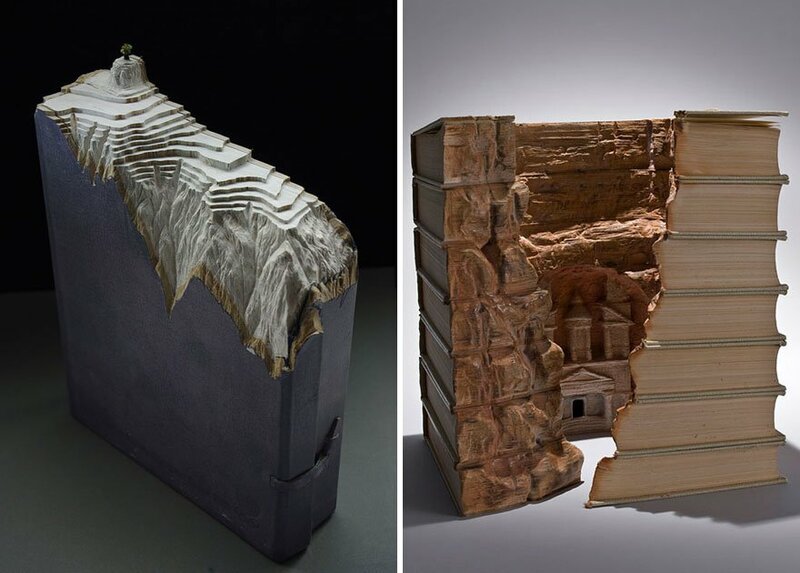 The art form that he creates using books is incredible. 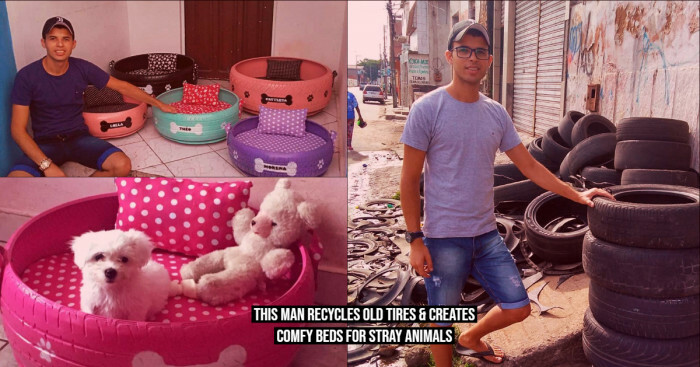 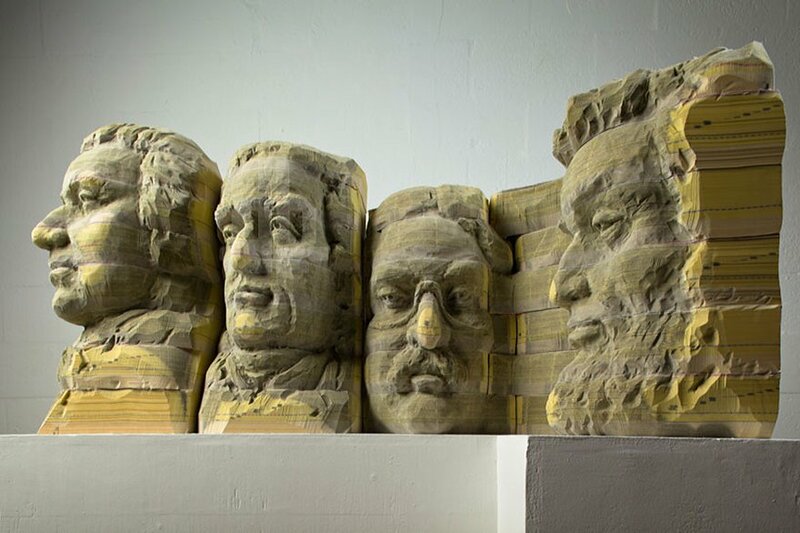 A New York based artist Brian Dettmar is also a famous name in this field. 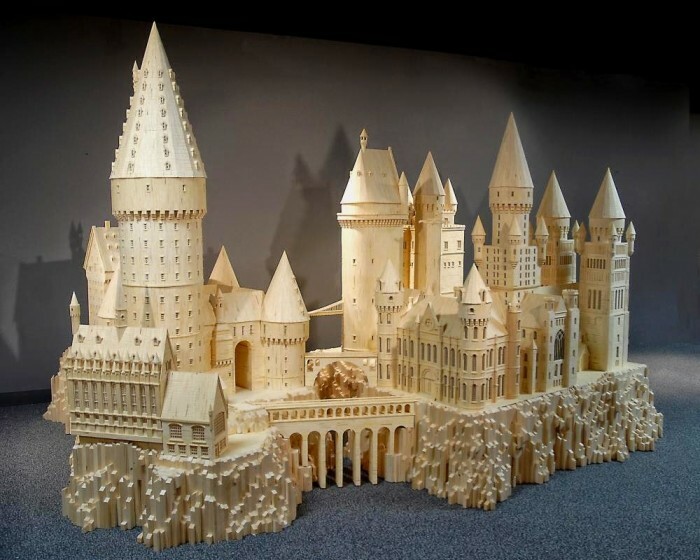 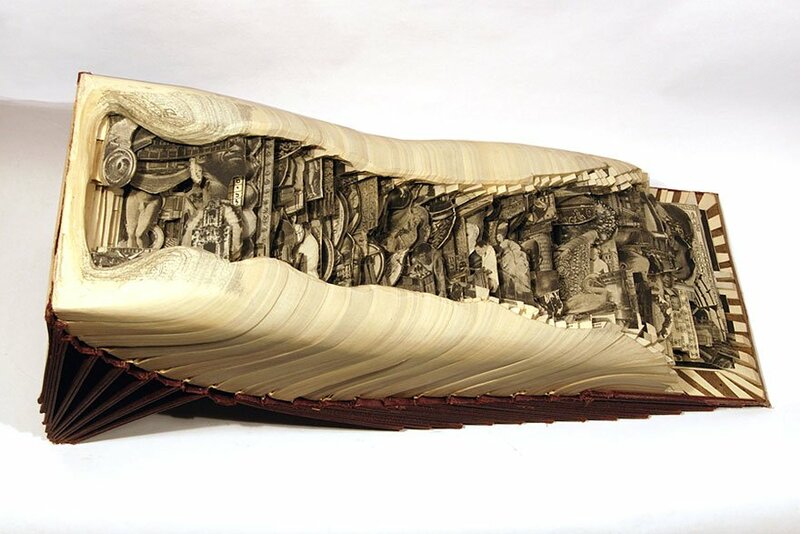 He uses knives, scalpels any other surgical tools to carve out book sculptures. 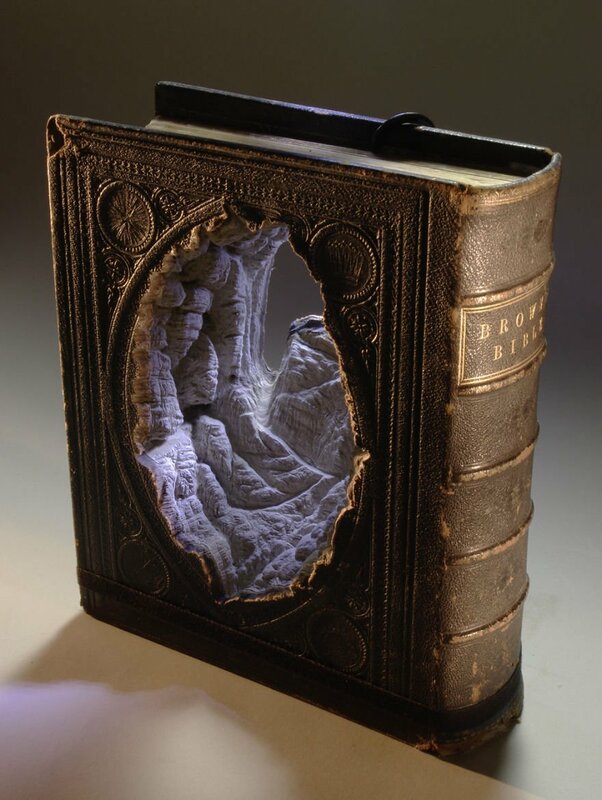 The art work destroys some big books but the upshot makes it up for the destruction. 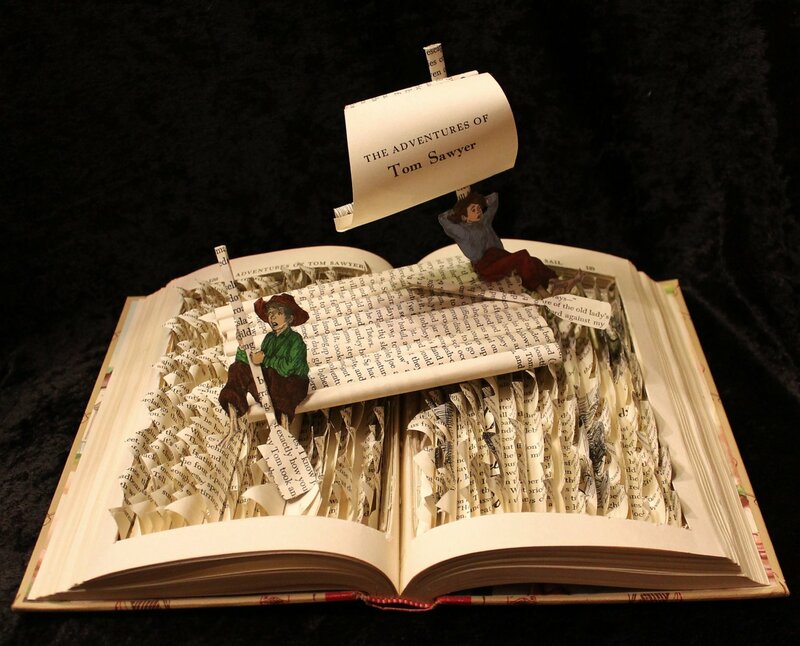 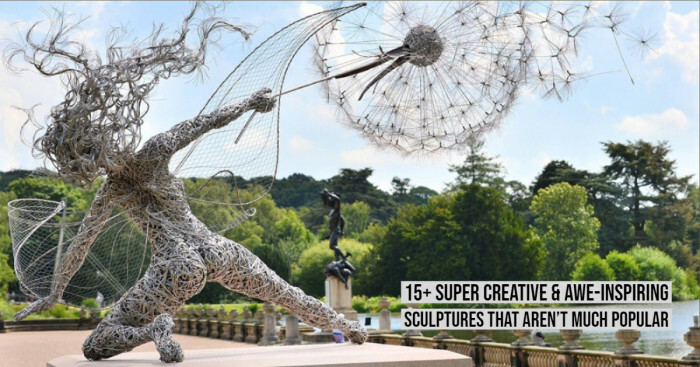 Judge for yourself if these 17 book sculptures are worth the destruction.